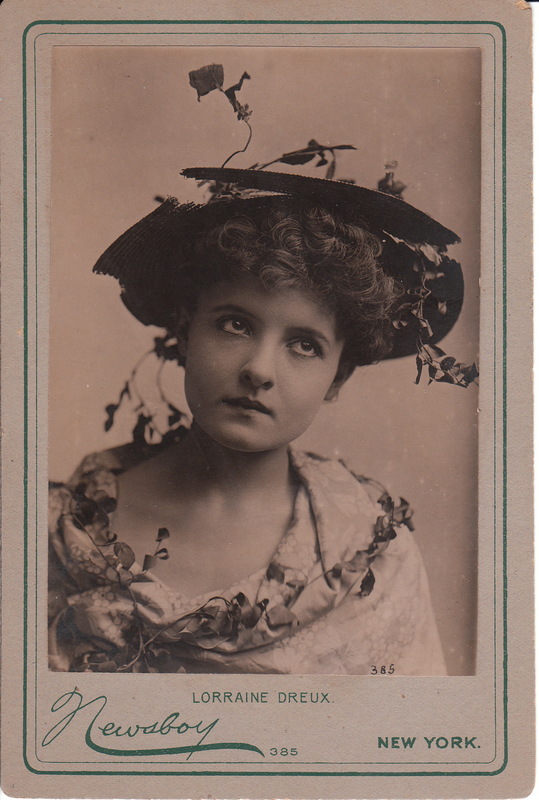 This vintage real photo postcard features silent film actress, Naomi Childers (1892-1964). Although she was born in Pottstown, Pennsylvania, her parents were English. She grew up in St. Louis, Missouri and was educated in the Maryville convent. She began acting at age three. At age ten, she played the title roles in both “Red Riding Hood” and “Alice in Wonderland” at St. Louis’s Odeon Theater. In 1912 she played roles in “The Great Name” and “Madame X”. Childers had one Broadway appearance which occurred in “The Great Name” ( 1911 ). Childers”s film career began in 1913. For the most part, she was a character actress. She played roles in “The Turn of the Road (1915) and “The Writing on the Wall” (1916). She spent four years working with the Vitagraph company. Her most popular role was in “Womanhood, the Glory of the Nation” in which she played a modern Joan of Arc. She joined the Commonwealth Company in 1917. Although Childers played many dramatic roles, she preferred comedy. The IMDb lists 104 film credits for Miss Childers. She was quite beautiful. She was blonde and had deep blue eyes. She was voted the most beautiful woman in Japan, and many of her fans and critics found her physical appearance very similar to Sarah Bernhardt. She did a great deal of modeling work and her nickname was “the girl with the Grecian face”. Childers was married twice. Her first husband was Harold Darling Shattuck, the head of a major candy company. She was later married to Luther A. Reed, a film writer and director. They were married nine years until their divorce in 1929. In her later years, Childers had significant financial problems. Upon learning of her struggles, Louis B. Mayer awarded her a lifetime contract with MGM. Miss Childers looks very glamorous in this postcard image. She is wearing a fur stole and a large hat. Her jewelry includes a necklace, bracelet and wrist watch. This postcard has an AZO stamp box indicating that it was published between 1904 and 1918. The postcard is part of a series (#218). It is in excellent condition (see scans). This vintage (1920’s) photograph features actress Adelaide Wilson. She is holding an umbrella behind her, and she either has an elaborate hair treatment, or she is wearing a complicated hat. She appears very young in this photograph and her hand on her hip gives her an air of sassiness. The hand on the hip pose also was a way for Wilson to display her large ring. Adelaide Wilson is quite pretty and engaging. Both the Playbill and IMDB websites credit her with six appearances on Broadway between the years 1907 and 1924. Her first Broadway appearance was in “When Knights Were Bold” (1907) and her final role was in “Great Music” (1924). A portrait of Miss Wilson can be found at the Billy Rose Theater Collection at the New York Public Library. A copy of the library’s image can be seen below. Is the subject of the NYPL photograph the same person seen in the photograph above? I think so, but the library image shows the actress at an older age. The image seen above, measures approximately 8″ x 10″. The back of the photograph is stamped “Pantages Road Show”. I can not confirm that Miss Wilson was a member of the Pantages Road Show cast. The beautiful actress pictured on this real photo postcard is Nancy Carroll (1903-1965). Miss Carroll’s parents were Irish and she was born and raised in New York City. She left school at age sixteen to work as a stenographer for a lace manufacturing company. She and her sister participated in an amateur talent show. They performed a dance routine. She must have caught the acting bug because after this performance, she began pursuing a stage and screen career. She began her acting career in Broadway musicals. The IDBD lists Nancy Carroll as appearing in five Broadway productions between 1923 and 1948. Her musical background made her a successful “talkies” actress. She performed in movie musical in the 1930’s. Her movie debut was in “Ladies Must Dress” (1927). It seem 1928 was a busy year for Nancy Carroll. During that year she made eight films and one of them, “Easy Come, Easy Go” propelled her to stardom. Her costars over her career included George Bancroft, Cary Grant, and Randolph Scott. Carroll was under contract to Paramount Pictures and their relationship was stormy. She often refused roles the studio offered her and her reputation became damaged. She was seen as stubborn and uncooperative. Carroll was successful in light comedies, melodramas, and musicals and appreciated by critics and fans. In fact, during the early 1930’s she received more fan mail than any other star. Despite all these positives, Paramount released her from her contract. In the mid 1930’s she joined Columbia Pictures stable of performers but made four not very successful films and became a film actress no longer in demand. In 1938 she retired from films and returned to stage and starred in an early television series in 1950. She died of an aneurysm in 1965. This photo postcard bears the logo of Paramount Pictures which indicates that the photograph was taken during Carroll’s stint with that studio. The postcard is part of a series (no.5395/3). This is an unusual cabinet card portrait for two reasons. First, the pretty young woman who is the subject of this photograph is a New York city actress and certainly does not look the part. She is well dressed, but she is wearing conservative and “boring” attire. Overall, she looks more like the “woman next door” than a Broadway actress. She exudes a sweet and innocent disposition and she has a twinkle in her eyes. She doesn’t give the appearance of a professional actress of that time. Where’s the histrionic flamboyance? Where’s the drama? Secondly, what’s wrong with the photographer, Napoleon Sarony. The fantastic celebrity photographer was not showing his usual bombastic flair when he posed and shot this photograph. Unlike many of his theatrical portraits, there is no fancy clothing or abundance of props in this portrait. The young lady in this image is named Maude White. Her name is written on the reverse of the photograph. However, there is a caveat worth mentioning. I encountered a problem while I was researching Maude White. I discovered that there was also an actress named Maud White who was performing during the same era. This became an issue because, despite the inscription on the back of the cabinet card, I could not be sure if the woman photographed was Maude White or Maud White. I attempted to find other photographs of both actresses but met no success. Due to the fogginess of the identification issue, I decided to research both Maude and Maud. The Internet Broadway Data Base reveals that Maude White appeared in one Broadway production, “The Ruling Power” (1904). However, Maud White made three appearances on Broadway (“Lost-24 Hours”(1895), “A Stranger in a Strange Land” (1899), and “There and Back” (1903). First, I will present some information gleaned from researching Maude. The New York Times (NYT) (1888) published an article about a soon to open play entitled “A Parisian Romance”. The star of the show was Mr Richard Mansfield and the supporting cast included Miss Maude White. The NYT (1888) later reviewed the play and made special mention of Maude. The review described her as “the danceuse (female ballet dancer) of the Opera” and reported that she played her role in a charming, pert, and clever manner. The NYT (1898) announced the soon to open comedy, “A Stranger in a Strange Land”, and that it would include both Mansfield and Maude. An article in the NYT (1900) stated that Maude would appear in Stuart Robson’s company that year. The NYT (1903) heralded the opening of a farcical comedy called “There and Back” and added that Maude would be a principal in the cast. An interesting story about Maude appeared in the NYT in 1905. The issue at hand was plagiarism. Maude had written a playlet called “Locked Out At Three AM” and she complained to the United States circuit court that the author of another play used some of her material. Maude had asked for an injunction and sued for damages. The NYT (1906) stated that Maude would be starring in the play “Nobody’s Fault”. Now lets focus on Maud, rather than Maude. In 1890, Maud was involved in some controversy and it was reported in the NYT. The title of the article was “Fritz Emmet Sobering Up”. Emmet was an established comedian who had a relationship with “John Barleycorn” that had produced many newspaper articles focussing on his drunken behavior. The article stated that there was “a stormy sea” on the stage of the Hammerstein’s Harlem Opera House. Emmet had been drinking heavily for two weeks and creating much drama. His professional and personal life had become badly damaged. In his previous engagement in Philadelphia, Emmet had reached the point that he could no longer perform. The theater had to close the show, and fortunately for the theater, Emmet compensated them for their losses. Next stop was Harlem, but Emmet kept drinking excessively until the dramatic incident occurred on stage. At a Saturday night performance he “murdered his play”. While onstage he made many “Bacchanalian references” and exhibited other inappropriate words and actions.. Emmet’s adult son decided to put an end to his father’s out-of-control behavior. Just as the curtain went down on the last act of the play, Fritz’s son went on the stage where his father and Maud were standing. The son informed Maud that she would have to leave the theater company. Maud objected in a “vigorous manner” spurring the young Mr. Emmet to have her forcibly removed from the theater. Worse yet, he had her confined to a little storm house over the stage door. Basically, she was temporarily kidnapped. Maud cried and screamed “various better words” and even though Fritz tried to intervene, she was imprisoned until the police arrived. The police were called by the younger Mr Emmet and they promptly took Fritz to Manhattan Hospital where he was confined overnight. Maud was released and put in a carriage to go wherever she wanted to go. The story got worse for Fritz. Directly after this incident, his wife of 27 years, sued him for divorce on grounds of infidelity. They ultimately divorced and the settlement was costly for Fritz. Maud continued to perform and the NYT (1891) announced that Maud would be appearing in a play directed by Charles Frohman called “Mr. Wilkinson’s Widows”. That same year, she appeared in a Frohman production entitled “The Solicitor”. The NYT (1892) has an article reporting that Maud appeared in another Frohman production (“The Lost Paradise”). An 1895 NYT article states that maud was appearing with the Robert Hilliard Company in “Lost- 24 Hours” at the Hoyt Theater. The NYT (1897) has an article reporting her appearance in “The Wrong Mr Wright”. Maud received a complimentary review from the NYT (1903) concerning her performance in the role of the “seductive Marie Antoinette” in the play “There and Back”. Beautiful stage actress Johan Wittman posed for this publicity photograph for her appearance in “The Perfect Fool”, a play that appeared at the George M. Cohan Theatre” in New York City (Broadway). Ed Wynn provided the book, lyrics, and music. The revue played in 1921 and 1922 and ran for 275 performances. Miss Wittman looks elegant in her “to the floor” beaded dress. The previous owner of this photograph hypothesized that the dress was modeled after a peacock feather. I agree with his observation. Miss Wittman is holding a feather fan behind her head. She truly is representative of the flapper era. According to Broadwayworld.com, Miss Wittman’s Broadway experience was confined to her role in “The Perfect Fool”. The photographer of this lovely portrait was Ira Daniel Schwarz (1878-1946) who was based on West 48th Street in New York City. Schwarz was a Brooklynite and one of the first New York portrait artists to work in the movie industry. 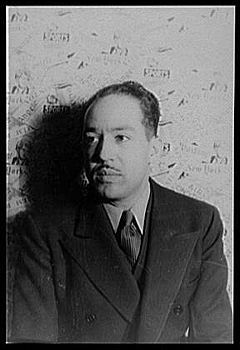 He began his career as a pictorialist art photographer and during World War I he went to work for Screencraft Pictures (located in New York) as Cinematographer and Stillman. He displayed a lot of talent as a Stillman and in 1919 became the chief portrait photographer for the company. The website “Broadway Photographs” reports that Schwarz was fascinated with shade and that his images were often recognized for their “plummy blacks”. In 1924 he left Photocraft and established his own studio. In regard to his skill as a portrait photographer “Broadway Photographs” assert that Schwarz was considered “a photographic psychologist” by his colleagues because he was excellent at “capturing the mentality of his sitter”. During World War II he closed his studio due to the silver shortage.